This year the Spanish government granted a six-month “Tax Amnesty” for certain income tax declarations of foreign nationals (including UK nationals) who are resident in Spain and receiving pension income. This means that UK nationals living in Spain who have not been declaring their pension income can bring their Spanish Tax affairs up to date without incurring fines, penalties or interest for late payment. But to take advantage you will need to act fast! – This penalty free period ends soon! What is the Tax Amnesty and what does this mean for UK nationals living in Spain? The exchange of information between the various European tax authorities alerted the Spanish Tax Authorities to the fact that many foreign pensioners do not pay the required tax in Spain on their foreign pensions. In order to encourage those who are not declaring their pension income to come forward voluntarily, the Spanish government set a period of 6 months, from January 2015 to June 2015 giving people the opportunity to bring their tax affairs up to date with the Spanish tax authority without incurring the usual interest and penalties for late pay­ment. This means that UK nationals (and other non-Spanish nationals) living in Spain who have not been declaring their pension income can arrange to settle the tax that is due to the Spanish Tax authorities without incurring fines, penalties or interest for late payment. During the six month “Tax Amnesty” period the Spanish Tax Authorities have agreed that any penalties and surcharges would be waived however the income tax due on the undeclared pension income and related interest would still need to be paid. Affected taxpayers may submit additional self-assessment returns for the previous four tax years. Who will the Tax Amnesty Affect? Generally, (although there are exceptions) if you reside in Spain for more than 183 days in a year, you are automatically classed as a Spanish resident for tax purposes, and therefore all of your worldwide income must be taxed in Spain. This also includes your pension. If you are a tax resident in Spain but have not yet submitted a tax declaration in Spain reporting your pension income, you have until 30 June 2015 to submit a declaration and pay the tax, free from any penalties or interest. It is anticipated that following the amnesty there will be a tightening of the tax rules. Therefore expats are advised to take advantage of the opportunity to check that they have been declaring their pension income according to the Spanish tax legislation, and to sort out their tax affairs without penalty. The Spanish tax authority Agencia Tributaria has opened over 28,000 enquiries into expatriates’ tax returns and has sent letters out the thousands of expats in Spain explaining that they are aware that their tax is not being paid correctly. If you have received one of these letters from the Agencia Tributaria it is possibly because you are receiving income that is not being properly declared to the Spanish Tax Authorities. You should therefore contact a Spanish Tax lawyer who has experience assisting expats with their income tax affairs in Spain as soon as possible. Contact Worldwide Lawyers on 01244 470 339 and we will be able to assist you with this. If the income relates to pension income and your tax return can be filed before June 2015 you will be able to take advantage of the Spanish Tax Amnesty and avoid the late filing penalties. Whether or not you have received a letter from the Agencia Tributaria, if you have not been paying tax correctly in Spain, the advice is to contact a Spanish tax lawyer as soon as possible and sort out your affairs during the Tax Amnesty period. 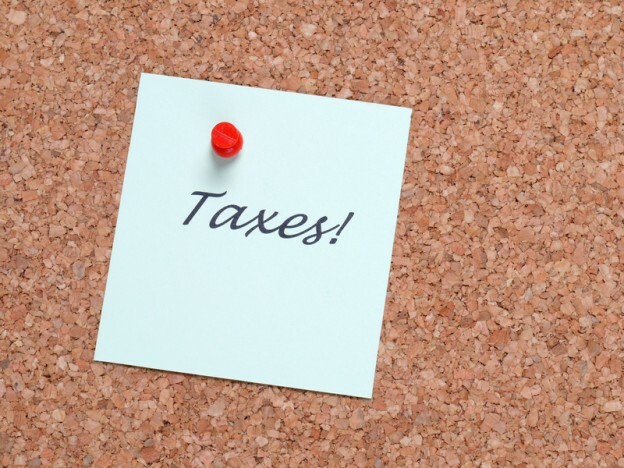 I need to sort out my Spanish taxes – what should I do? Worldwide Lawyers can put you in touch with a specialist English-speaking Spanish tax lawyer who will be able to help you get your tax affairs in Spain in order and (if filed before the end of June 2015) without penalty. British expatriates in Spain receiving income from the UK will need to understand both the UK tax rules as well as the Spanish tax rules and the interaction between them and it is always advisable to seek specialist advise. If you need an English-speaking tax law specialist in Spain who can assist you with regard to taking advantage of this tax amnesty in Spain or with your Spanish tax affairs generally, contact Worldwide Lawyers on 01244 470 339 or email info@worldwdielawyers.co.uk.